Copper has been prized as a roofing material by architects for hundreds of years. Once copper changes color from brass to its prestigious green patina — think of the Statue of Liberty — it actually becomes more durable. The oxide-sulfate coating on the outer surface of copper makes it especially resistant to corrosion in most environments. Tests were conducted on 18th century copper roofs in Europe and the tests found that copper roofing can last approximately 1,000 years (at least in theory). A dome-shaped roof is an architectural style that has been around for thousands of years. One of the most important Buddhist sites in India, the Great Stupa at Sanchi, was built in the 3rd century B.C.E. The dome structure is incredibly durable as well, as its shape lends itself to wind resistance. Dome homes are popping up along the Gulf and East coast in hurricane zones as a defense against the damage those storms can deliver. In other words, dome-shaped roofs and copper domes are an enduring form of architecture sure to be around for a long time. Here is a closer look at some old and new copper domes and roofs around the world. 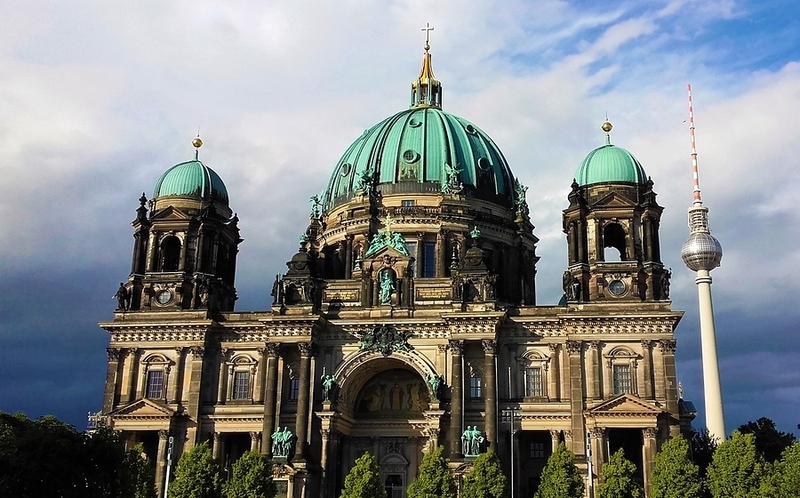 While it is not a cathedral in the technical sense (a bishop has never been seated there), the Berlin Cathedral Church, or Berliner Dom, is one of the most majestic buildings in Germany. On a site continually occupied by a church since 1465, the current building was completed in 1905. Built in an ornate Renaissance style after St. Peter’s in Rome, it has five copper domes and several copper statues, all of which are a beautiful patina green. The Berlin Cathedral underwent extensive restoration after World War II. 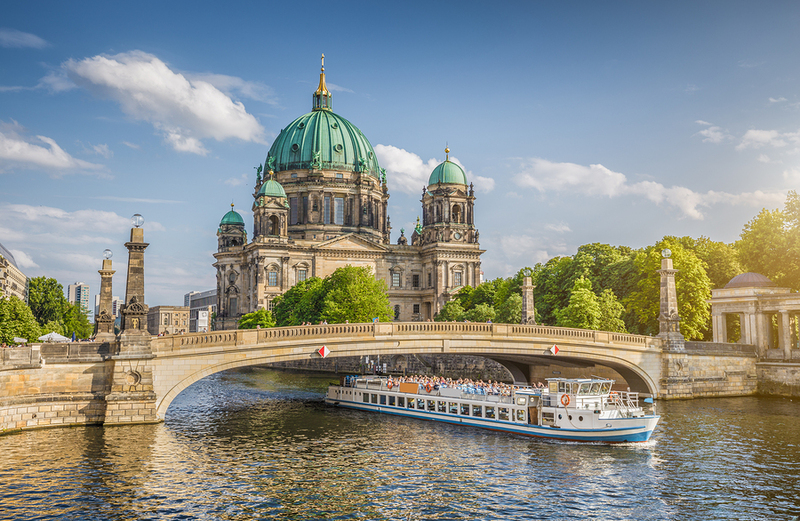 It can be visited on Museum Island in the Mitte borough. The Macon City Auditorium in Macon, Georgia is actually the largest copper-domed roof in the world. It was completed in 1925 and is listed in the National Register of Historic Places. The circular assembly hall is approximately the same size as the Pantheon in Rome, making it a truly incredible structure. A beautiful mural inside the auditorium captures four centuries of history of the Macon area. Today, it’s a busy cultural center, hosting music, theater and other events for local residents and tourists. The dome on the Wales Millenium Centre is actually constructed from steel. The architect wanted the dome to maintain its bronze color throughout its lifespan, so he went with steel that had been treated with copper oxide. 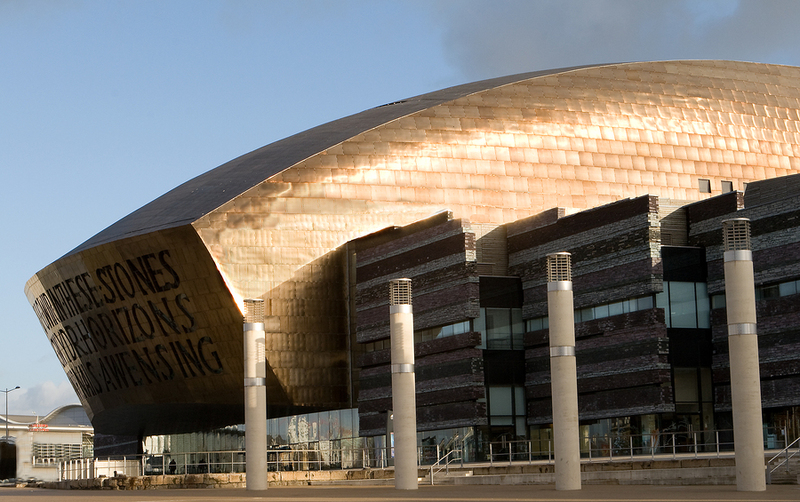 The Millenium Centre is an arts center with a main concert hall and two smaller halls which house restaurants and shops. The entire Centre covers 4.7 acres in Cardiff, Wales. The Rotunda at the University of Virginia was designed by Thomas Jefferson. It has a 77-foot domed copper roof and Jefferson designed it to represent “the authority of nature and the power of reason.” The Rotunda’s construction began in 1822 but was not completed until shortly after Jefferson’s death in 1826. Jefferson toyed with the idea of designing the interior of the Rotunda dome as the first planetarium in the United States, but that idea was abandoned. It is difficult to even find words to describe the Temppeliaukio Church, also known as the Church of the Rock, located in Helsinki, Finland. The church was literally carved out of solid rock. A skylight framework holds up the massive copper dome roof. Due to the rock walls and the copper dome, the acoustics provided are incredible and the church is often used for musical performances. 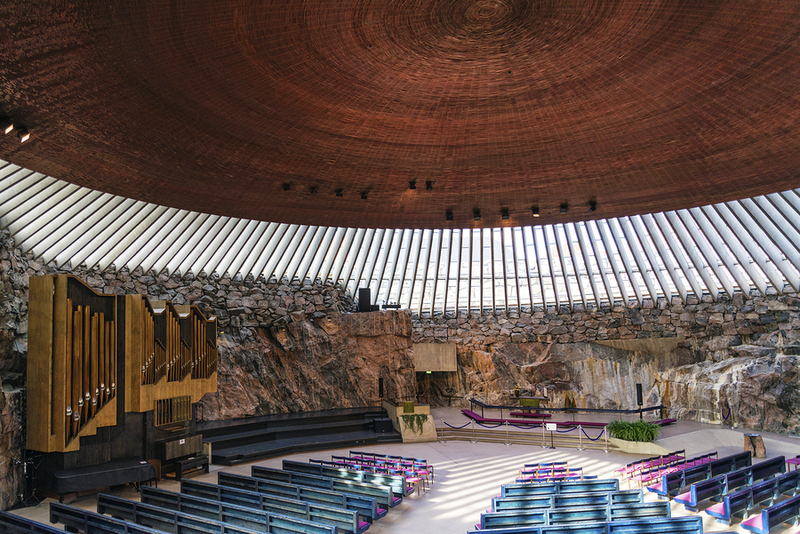 The Temppeliaukio Church is one of the most visited tourist attractions in Finland. Its construction had to be completed in stages over several decades due to the interruption of World War II. When you consider this unique building and its dome, think about this: The design was actually scaled back to one-fourth of its original planned size! 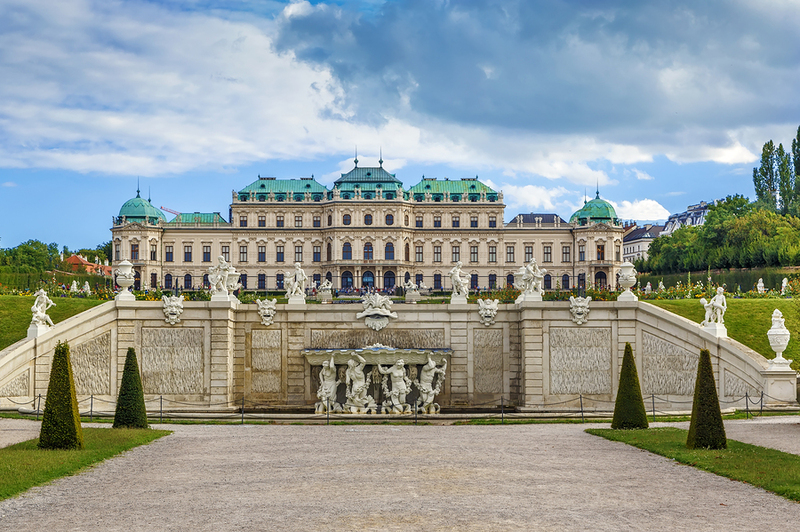 The copper roof of the Belvedere Palace in Vienna has been in place for some 300 years now, which once again speaks to the durability of copper as a roofing material. It was built in the early 1700s as the palace for the ruling Habsburg Dynasty. The Belvedere Palace has a copper roof that includes four copper domes at each of the roof’s corners. The Main Building at Texas A&M, known as “Old Main,” burned down in 1912 and was replaced with the Academic Building which still stands today. Inside the building you’ll find a replica of the Liberty Bell. On the outside, the most noticeable feature is, of course, the patina-green dome. The dome of the Academic Building actually features in one of the most time-honored traditions at Texas A&M. A ceremony is held to pay tribute to a passing current student in which a variation of Taps, called Silver Taps, is played from the dome. 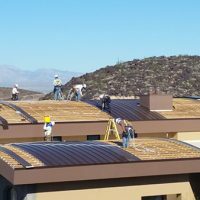 Prestige Roofing is proud to have built the new copper dome for the Nevada Supreme Court Building in 2016. 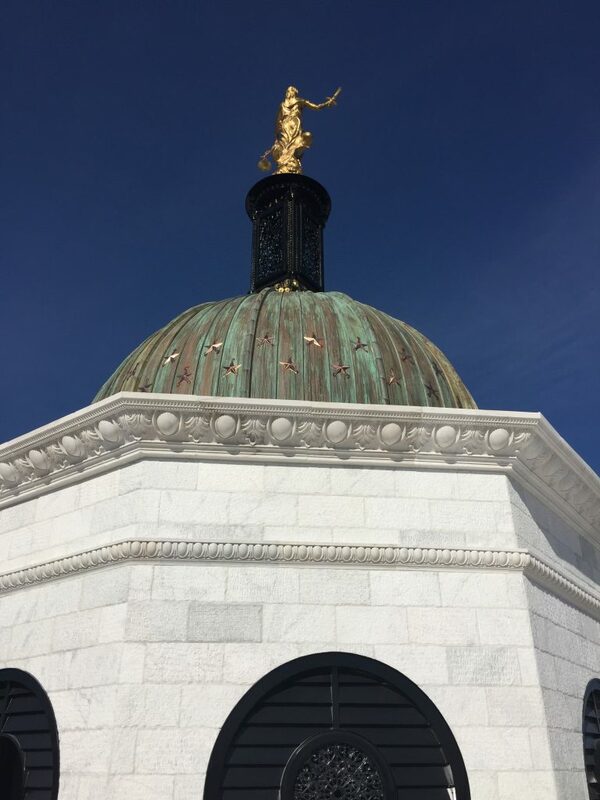 To add dignity and grandeur to the copper dome atop this important seat of justice for Nevada, the shiny new dome was finished to a protective green patina with a treatment that accelerates the oxidation process that otherwise occurs naturally over time. Prestige is proud to think that Nevadans will be able to enjoy the classic beauty of this dome for many years to come. 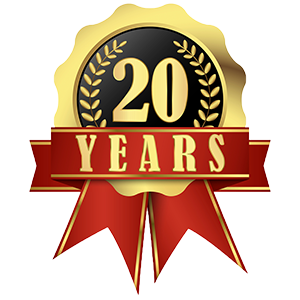 Prestige Roofing specializes in quality copper roofing, as well as a range of quality new roof and roof restoration services. Contact us for help with your roofing needs. 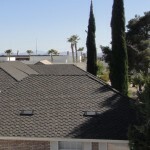 Only Hire a Professional Residential Roofer – Here’s Why Should I Clean My Roof?